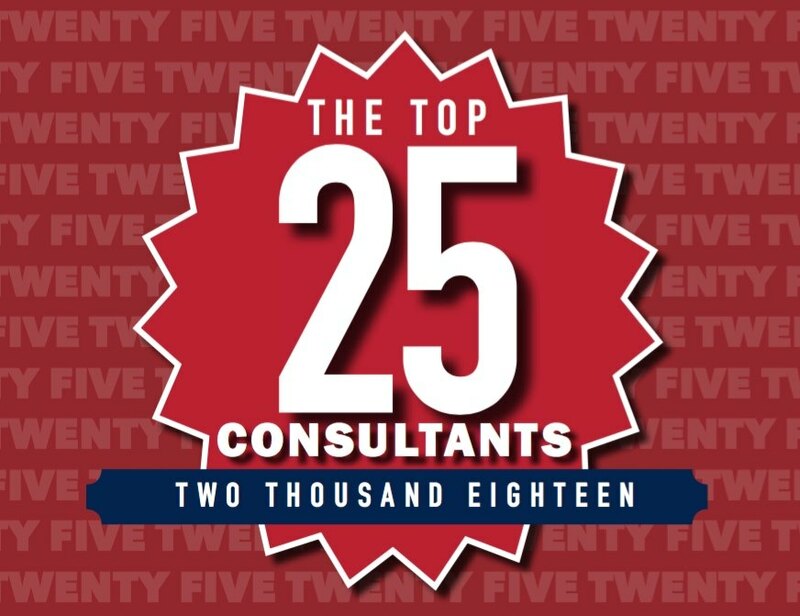 The Top 25 Consultants are here. And, once again, we’ve done our very best to capture the true essence of their extraordinary client work. If only we could share the complete “awesomeness” with our readers and the firms they work for. 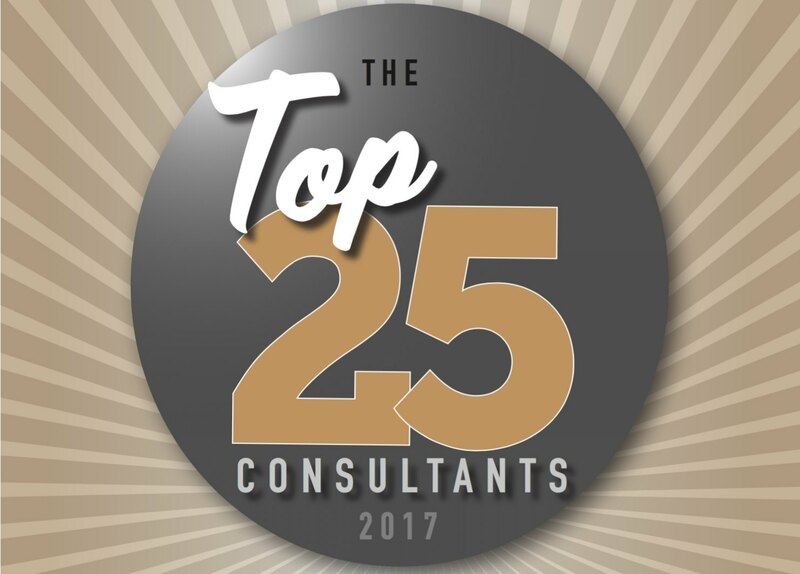 Well, the annual Top 25 Consultants issue is about as close as we get. Covering the consulting profession must be a lot like working for the CIA or FBI. Boy, we could tell you some stories, but we’re sworn to secrecy. Sometimes, we can you the story, just not who it’s about. 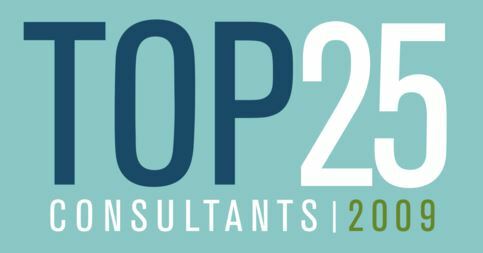 And then other times, like our annual Top 25 Consultants issue, we’re able to take a break from covering what is happening in the industry and focus on who is making it happen. 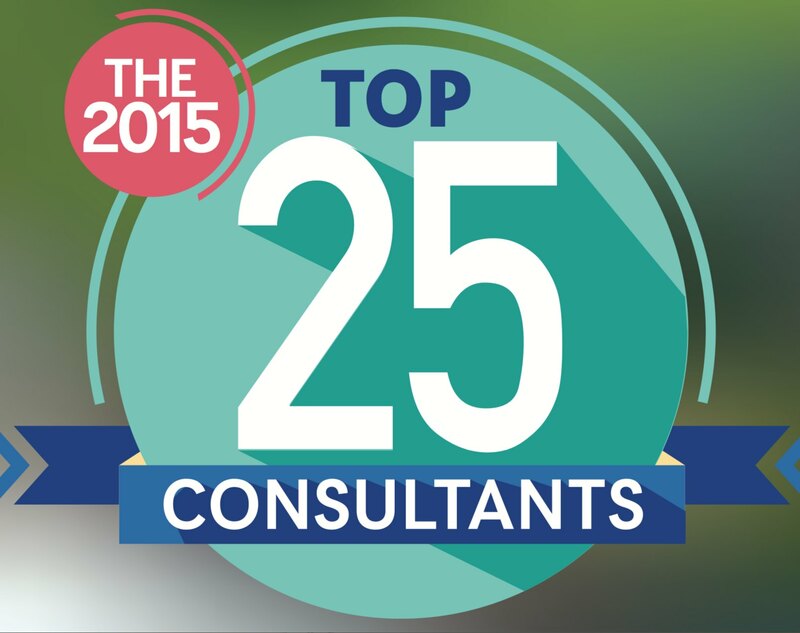 It’s May and that means one thing: Time for the Top 25 Consultants. 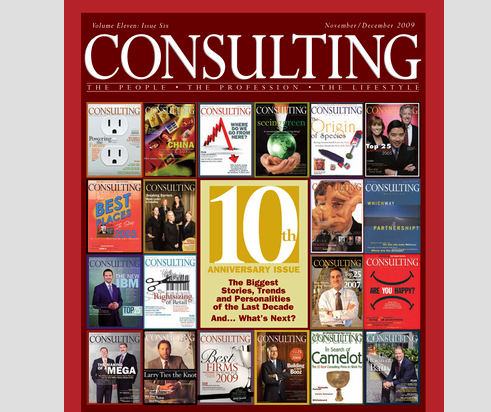 The annual Top 25 Consultants issue is here, and not a moment too soon. 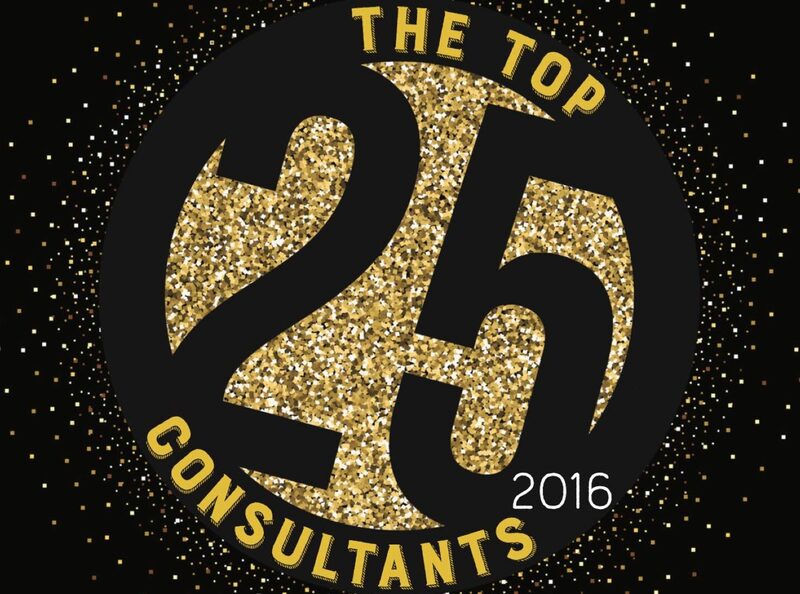 This year, the nominations for magazine’s annual Top 25 Consultants had a much different feel than in previous years. In 2009, the overall tone of the 350-plus nominations we received was one of admiration. 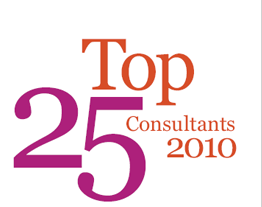 Once again, it’s time for Consulting magazine’s annual celebration of the year’s Top 25 Consultants. With more nominations representing more firmsthan ever before, this year’s list truly represents the best the profession has to offer. The 23 firms on this year’s list are the most ever, and like the industry itself, there’s no easy way to define the Top 25. 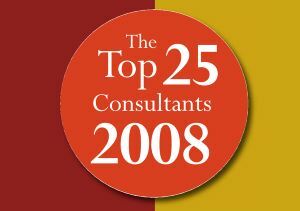 In many ways, this year's Top 25 Consultants are a microcosm of the profession and the marketplace. Much liuke today's consulting industry, there's really no easy way to define the Top 25 in terms of specialty, methodology, firm size or business model. Angelo Mazzocchi likes a challenge. The Milan, Italy–born managing director of BearingPoint Latin America, who speaks fluent Italian, English, and Portuguese, is accustomed to working in multicultural environments, too. 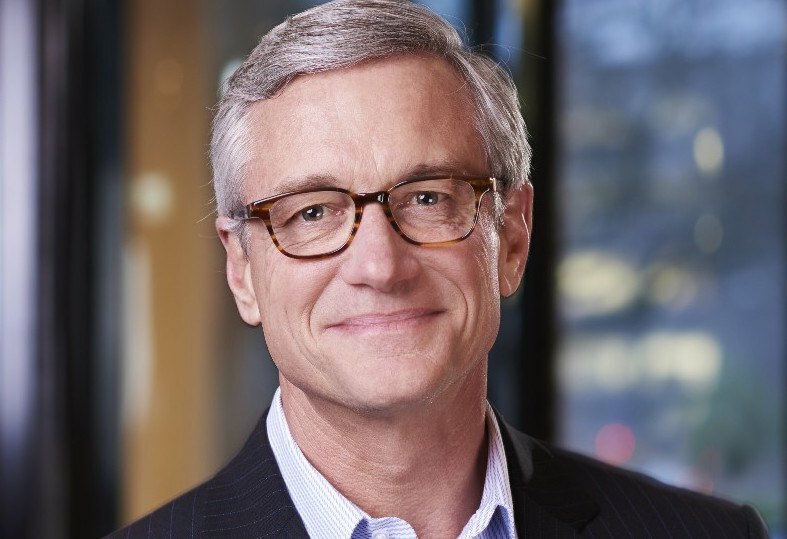 Asked to discuss career milestones, it’s not uncommon for a top consultant to slice his career history into two distinct chapters: one before making partner, the other after..
Adjoined Consulting CEO Rodney Rogers launched his firm in 2000 based on the principles of “efficient consulting.” Given how, and where, the former Accenture consultant internalized those principles, “empathetic consulting” seems an equally fitting description of Adjoined’s approach. Capgemini CEO Chell Smith foresees a day when utility companies — under pressure to reduce costs — turn to outside providers to manage their back-office processes. In May 2004, Capgemini took a first, dramatic step toward that goal by forming Capgemini Energy LP, a joint venture with TXU Corp. that began when the consulting firm won a 10-year contract to manage back-office operations for the energy giant — the largest business process outsourcing deal in the history of the utility industry. If Adam Gutstein, president of DiamondCluster International and managing partner of its European and Latin American operations, were just a few inches taller, he might have pursued his high school dream of playing basketball in the NBA. A few of us choose Einstein over Churchill. Others may pick John Lennon over FDR. But very few of us ever exclude Lincoln. It seems Honest Abe never misses a meal. Or at least not when it comes to meals cooked up by this anachronistic question: Which three people from history would you most like to have dinner with? If you have ever answered this question (and who hasn’t? ), consider yourself guilty of that all-so-popular sin of people-ranking. How dare we? How dare we list the people we deem to be the 25 most influential consultants and then profile them within these pages? And, as if such a list weren't already fraught with journalistic landmines, we went ahead and ranked the listees. After all, if the appeal of a list is to discover whose been included or excluded, than why not heighten the experience with a little numbering? To all those who find lists trite and hollow, we apologize, but for those of you who enjoy unmitigated flights of fancy: Buckle up. We’ve got a great list.